It will take you 20-30 minutes to walk along the coast road to the village of Scala. It is a lovely walk in the early evening but coming back after dark it is advisable to carry a torch or take a taxi. You will be made to feel very welcome in the village and it won’t take you long to find your way around. There is a good choice of restaurants in Scala with traditional Greek tavernas and many restaurants with a great selection of other international dishes. Remember that Pelagos Bay also serves homemade food every evening to save you going out. 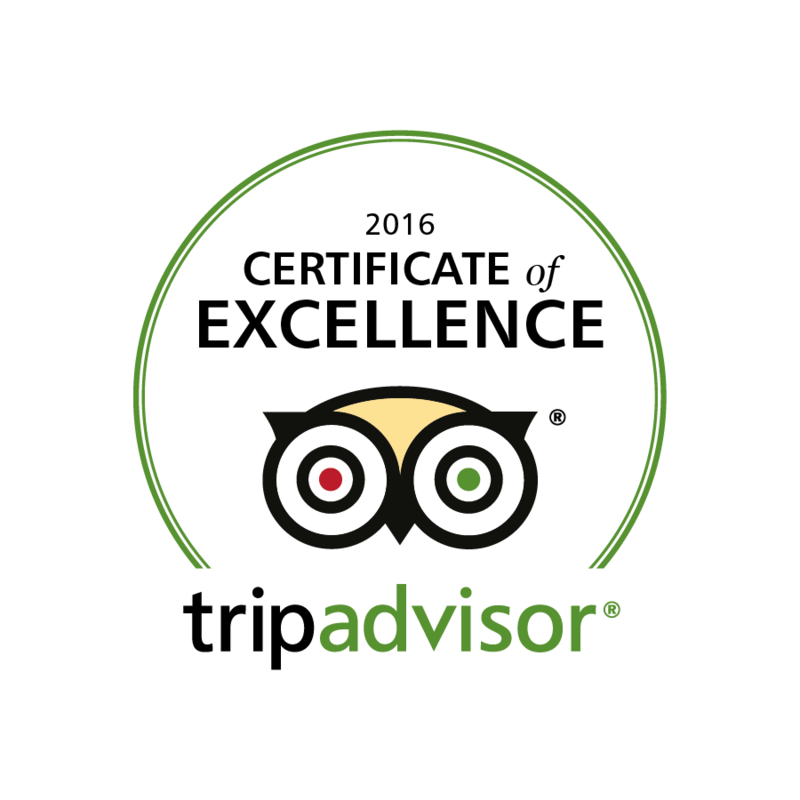 Additionally and within five minutes walk of our hotel are two traditional greek tavernas. 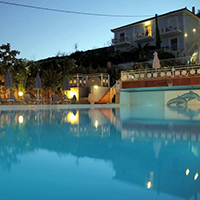 The nearest supermarket to Pelagos Bay Hotel is about 10 minutes walk away in the direction of the village. Before the supermarket you will pass the cake shop “Sugaro” . There are two bakeries on the main street in the village selling feta cheese pies, bougatses, croissants etc. English newspapers are available at several village supermarkets. The kiosk (periptero) is half way up the main street by the church and is the place to go to buy cigarettes,stamps etc. Taxis wait on the beach road at the bottom of the steps leading up to the village square. Scala’s pharmacy is now open on the main street. There is also another pharmacy in Poros. There is a Medical Centre in the village and also a private doctors’ surgery. 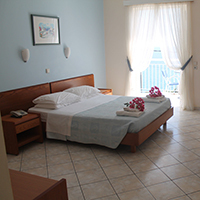 The nearest hospital is in Argostoli. There is an excellent dentist in the next town of Poros. Your nearest Bank is in Poros or Argostoli but there are several cashpoints in Scala. 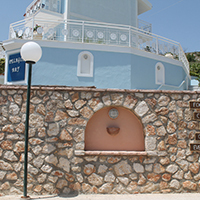 The Post Office is in Poros, only a short drive away. Buses to Poros will stop outside the hotel entrance but there is only one a day and only in high season. It is also possible to get to Argostoli by bus from the village square although the times are infrequent.